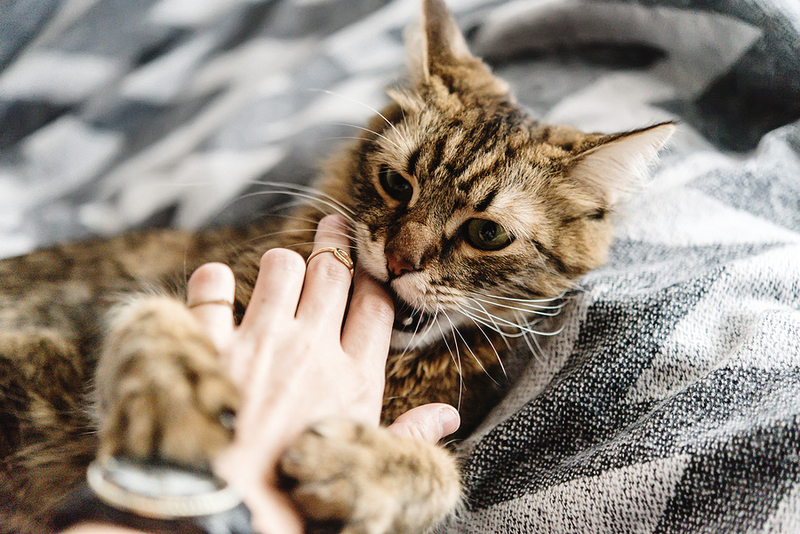 A reader asked about the common problem of a cat who bites after being petted. I enlisted my daughter, trainer Mikkel Becker, to help me respond. Q: My brother’s cat will come over to people purring, so we’ll pet her, and then all of a sudden she bites. A: That’s a common complaint of many cat owners. It’s one of the weird things about cats: As much as they love being petted, they can take only so much of it. Too much petting causes them to become overstimulated; that’s when they lash out with tooth or claw. Some cats give little warning before nailing you. Others give several clear warnings before taking matters into their own jaws (or paws). Signs that a cat has had enough stroking can be as subtle as a flick of the tail, twitch of the ear or shiver of the skin. The whiskers may rotate forward. When you see these signs, stop immediately. You can work to increase a cat’s tolerance of petting. Sit down next to her instead of picking her up for petting. Don’t pet her while you’re doing something else that holds your attention, such as watching television; you need to be able to watch her body language so you know when to stop. Start by petting less sensitive areas of the body: behind the ears, beneath the chin and at the base of the tail (the area where it joins the body). Some cats are easily set off by long strokes down the back, and the belly should be completely off-limits. Try to gradually pet the cat for longer periods, always stopping just short of the point where she becomes uncomfortable. 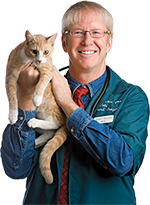 Giving a treat during the petting party can also help to increase the cat’s enjoyment and toleration of the experience. Read more, including about animal memorials, in this week’s Pet Connection!